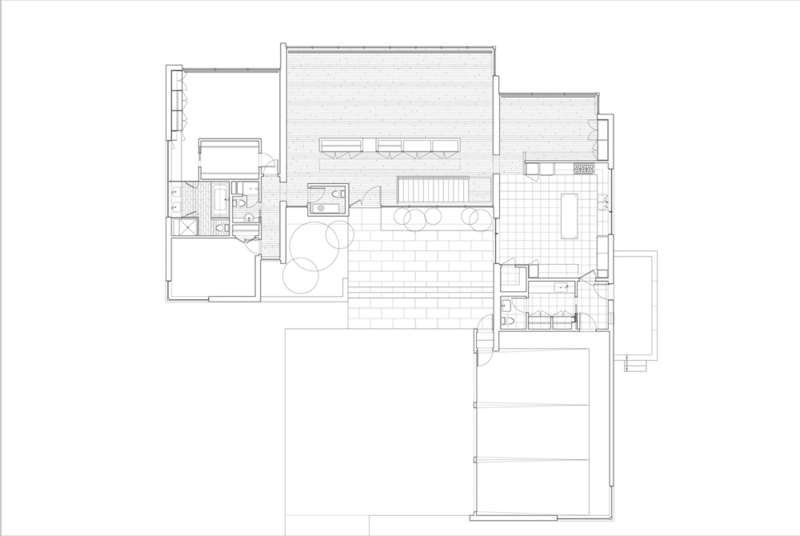 Northbrook Illinois This home, situated on the edge of a forest preserve, explores the relationship between site, material and program in a domestic environment. The site, urban on one side, falling away into a forest preserve on the other, yields a building of two characters: a low, more private “urban” façade in the front gives way to an all-glass two-story wall in the rear. Masonry bearing walls serve as organizing devices for the house, creating a formal entry court outside; the walls continue inside to divide the house into its separate living zones (service, living, sleeping). Inside, the walls provide space for the owner’s art collection while framing views of the forest beyond. Careful fenestration placement throughout the house maintains the illusion of solitude amongst the trees.